EY teams help companies rethink their business strategy and operating model for the digital age, driving innovation and agility. 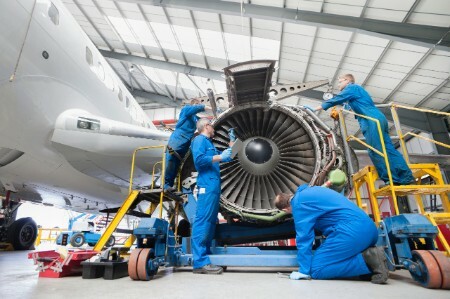 The aerospace and defense (A&D) industry presents itself as a complex ecosystem of players under constant pressure to maximize profitability and improve operational efficiency. New digital advancements are evolving and being adopted at fast pace. The enormous amount of data captured through sensors and advanced analytic techniques now create valuable insights around operations, product performance and customers. A&D leaders need to quickly become holistic solution providers with a focus on innovation and agility to adapt to customers’ changing preferences. EY teams help companies align, enhance and automate operations to deliver on the promise of digital and overall enterprise protection. Using advanced manufacturing techniques, the teams help OEMs and suppliers address risks, reduce costs and improve productivity.